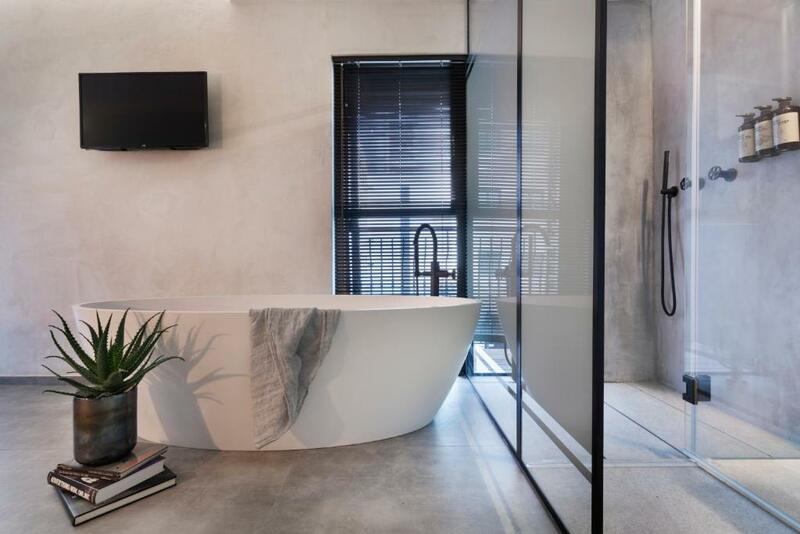 The Vera, a new, urban boutique hotel is now open in the heart of Tel Aviv, adjacent to the renowned Bauhaus Rothschild Boulevard. The Vera accommodates 39 rooms in 4 categories: classic, deluxe, superior and garden room, as well as a bar, spa treatment room, and two spacious, communal rooftop terraces. The Vera is the first property of Israeli hotelier Danny Tamari, who has conceived a concept of a distinctive ‘local anthology’, which focuses on deep collaborations with local designers, brands and talents to create a local narrative that permeates throughout the hotel’s high-quality amenities, services and furnishings. The in-room toiletries and spa amenities comprise of 100% organic products and oils that are created by the family owned boutique cosmetics brand Arugot. An unconventional approach to concierge services is taken with The Vera’s collaboration with local lifestyle magazine Telavivian bringing the Tel Aviv zeitgeist to The Vera Magazine which provides “in the know” advice to guests who wish to experience the city offerings like a local. The hotel lobby hosts a vending machine that dispenses cocktails exclusively created by local mixologists who also operate the Vera’s bar, offering an exquisite drink menu, and small bites. Bespoke furniture is provided by Tel Aviv-based furniture designer Tomer Nachshon and unique light fixtures are designed by Ohad Benit. All over Tel Aviv industrial spaces and old office buildings are being re-appropriated by new trendy bars and restaurants. The interior of The Vera, designed by Yaron Tal Studio, expresses this style by maintaining the roughness of its 1950’s office building, its raw floors and un-plastered walls, while inserting high quality materials and textures as well as an abundance of indoor and outdoor greenery. This achieves an authentic hospitality for the new, savvy traveller. Αναρτήθηκε από geop στις 12:20 μ.μ.